MOJO, the World Leader in Decoys has teamed with Mr. Turkey himself, Preston Pittman, many times world champion turkey caller and expert turkey hunter, to develop the first ever full body, full motion turkey decoy – SHAKE –N-JAKE! Any good turkey hunter knows how well turkeys see motion, use that for you instead of against you. MOJO is famous for motion decoys that not only attract game, but also divert attention AWAY from the hunter. 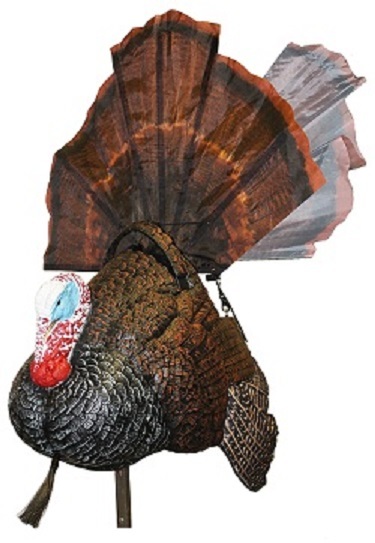 This is a specially designed, realistic full body decoy that has real turkey motion, not just a raising and lowering fan. Configured in the Jake style, in the off position, the tail is both down and collapsed. 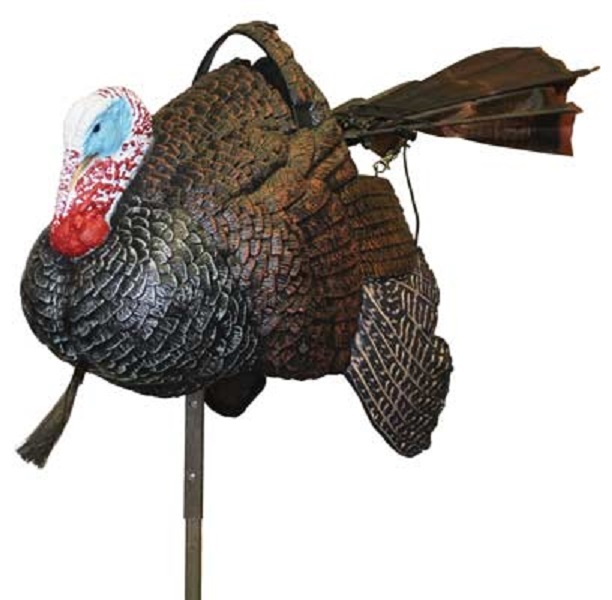 Remote controlled up to 150 ft., it raises its tail and fans it while simultaneously turning its body, just like real gobblers do! Operates on 4 AA batteries (not included), mounts on a 2ft. (when assembled) steel-mounting stake, which stores inside decoy. The most realistic turkey decoy ever invented. Comes with Blaze orange SAFETY carry bag with straps. Here is what Mr. Turkey has to say, “I have hunted with every type of turkey decoy ever made, and have never seen anything like SHAKE–N-JAKE. I have been most impressed with the aggression aged gobblers have demonstrated toward this decoy!” Preston Pittman. I bought this Mojo Turkey for my boys. My younger son had been asking for one. He just loves it. They have been using it since the day we received it. It is a good quality product.